Macedonia’s PM, Nikola Gruevski, is ending his 10-year reign, for now, after promising to step down, under an EU accord, the same day the EU neighbourhood commissioner comes to Skopje. 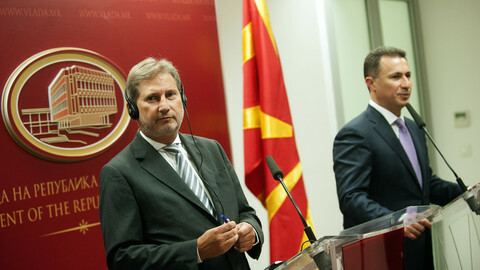 Gruevski said on Thursday (14 January) he’ll file his resignation with parliament on Friday. His announcement comes 100 days before snap elections on 24 April. The vote will be prepared by a caretaker government of people from Gruevski’s VMRO-DPMNE party and from opposition leader Zoran Zaev’s SDSM. The VMRO-DPMNE will keep the PM post, with Emil Dimitriv, the party secretary general, tipped for the job. The developments follow an EU and US-backed deal, the Przino Agreement, last year, designed to end a political crisis caused by a wiretapping scandal. 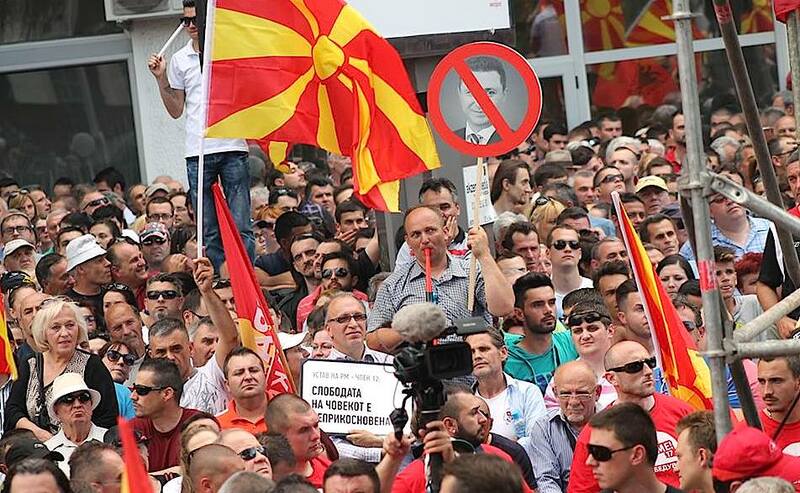 Zaev, last February, leaked recordings which testify to corruption and electoral fraud at the highest levels of the Gruevski regime, prompting street protests. The crisis isn’t over yet. 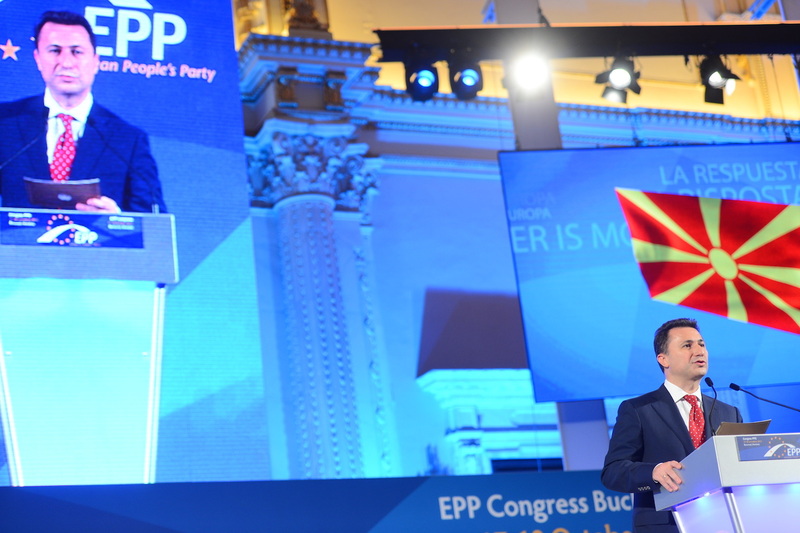 Gruevski, in his announcement, claimed he has “fulfilled” all Przino obligations, including the creation of a special prosecutor on the wiretapping affair and reform of the State Election Commission. 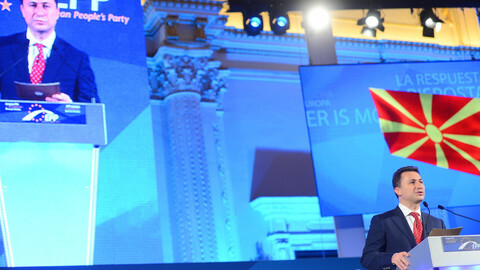 Zaev says reform is too slow to ensure a fair vote and has threatened to boycott it. Complaints include: that the prosecutor hasn’t been able to start work, meaning there’s been no accountability for the wiretap crimes; that voter lists haven’t been checked; and that Gruevski has a monopoly on media. But Gruevski says Zaev is trying to delay the vote because opinion polls indicate VMRO-DPMNE will win. “The elections are scheduled for 24 April. Now is the time to fulfill this obligation,” he said on Thursday. 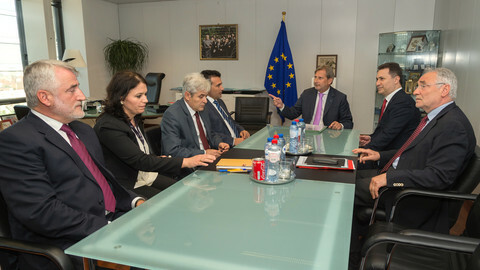 His resignation comes the same day the EU neighbourhood commissioner, Johannes Hahn, comes to Skopje to assess Przino compliance. He will meet the leaders of the four main political parties. He earlier threatened to withdraw the commisson’s positive recommendation to start EU accession talks if Gruevski doesn’t fall into line. But for some experts, such as Nikola Dimitrov, a scholar at The Hague Institute for Global Justice and Macedonia’s former US ambassador, if Hahn endorses the April date, he’ll be making a serious error. 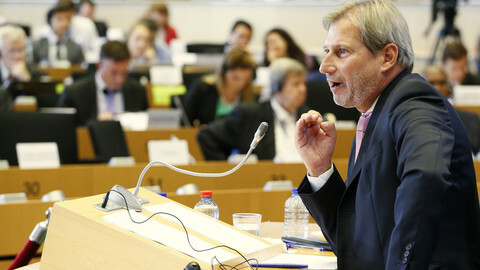 “If [Hahn] acquiesces to elections going ahead as scheduled in these conditions, [he] will be complicit in letting people, who face serious allegations of criminal misconduct, get off the hook,” Dimitrov said in an op-ed in EUobserver, also on Thursday. The US vice-president, Joe Biden, also met Gruevski in Washington on Monday. “The vice-president and prime minister agreed on the importance of continued implementation of the Przino Agreement and taking the actions necessary to ensure credible elections,” Biden’s office said. 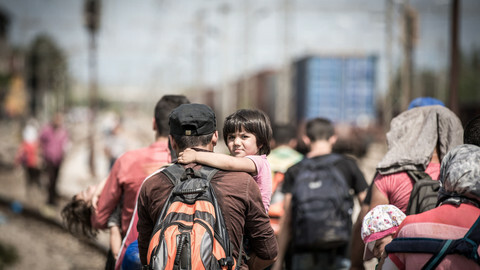 Thousand of migrants are likely to cross into Macedonia every day for months to come, the UN says, amid EU attempts to tighten migrant law compliance. Macedonia's PM, Nikola Gruevski, is clinging to power despite revelations of "gross ... systemic abuse". 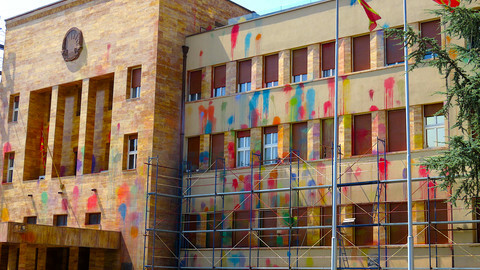 Eight-hour EU-mediated talks in Macedonia on Friday failed to resolve political crisis. Meanwhile, Serbia calls snap elections to push through EU reforms. 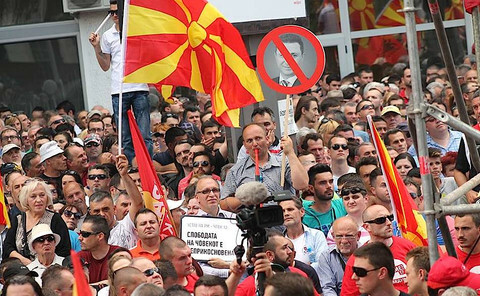 ￼The EU and US have urged Macedonia to put off elections from April to at least June amid concerns over media bias and voter intimidation.